This feature is available in Business and Enterprise plans. 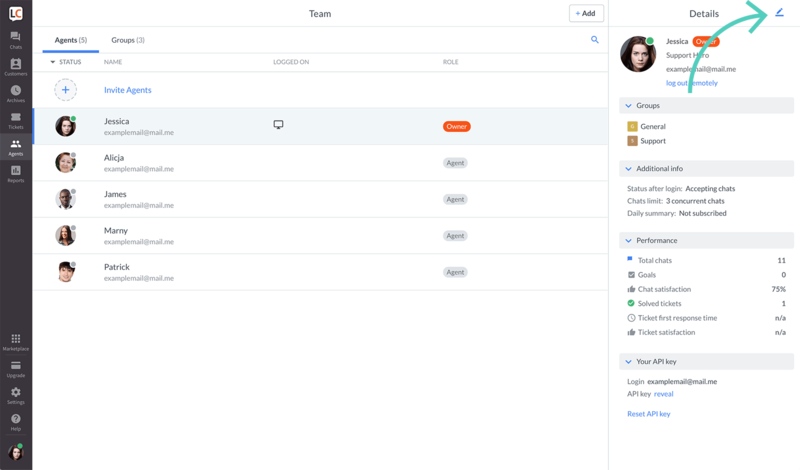 You can set up specific working hours for each of your agents to make sure each shift is properly staffed, and there is always someone available to answer your customers’ questions. This feature switches the agent’s status to Accept chats during working hours and to Don’t accept chats when off. 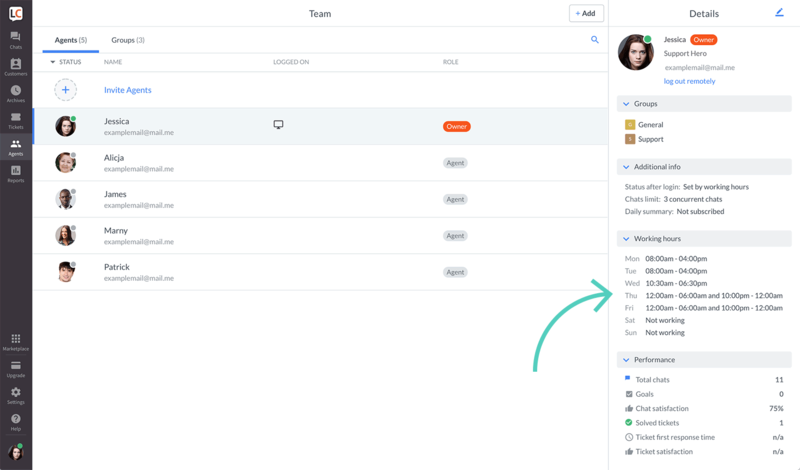 Here’s more about how statuses work in LiveChat. By the end of the shift, agents who are about to go offline can finish ongoing chats or transfer them to their colleagues who are just starting their work. If such need arises, agents can still log in and change their status manually before and after their working hours. 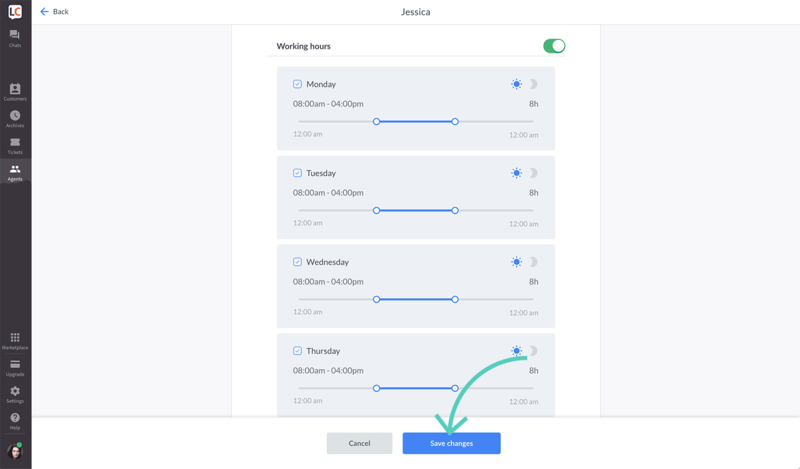 Work scheduler is based on the time set for the device agent uses to log in with. 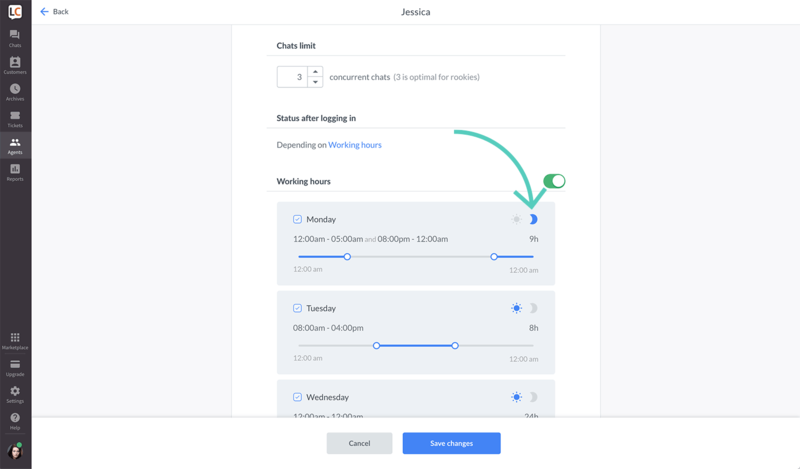 So if you start your shift at 2 pm, LiveChat will switch your status to ‘Accept chats’ when 2 pm hits on your system clock. Make sure to check if your system time is in sync with your local time to avoid any confusion. Go to the Agents section and select the agent whose working hours you want to modify. Scroll down to the Working hours section. 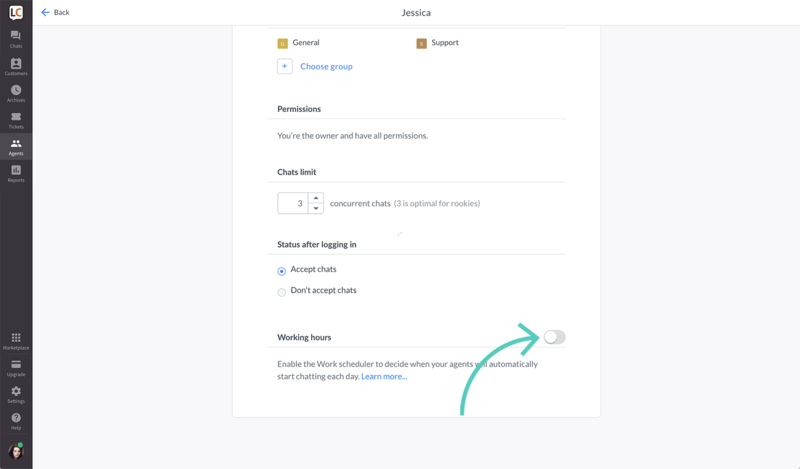 Click on the switch on the right to turn on the work scheduler (it should turn green). Check the box next to days of the week when the agent should work. Move the slider to change the working hours for a particular day. To set up a night shift for an agent, you need to select the moon icon option next to the shift sliders. It will invert the selection, allowing you to create a shift that starts on one day and continues on the following day.